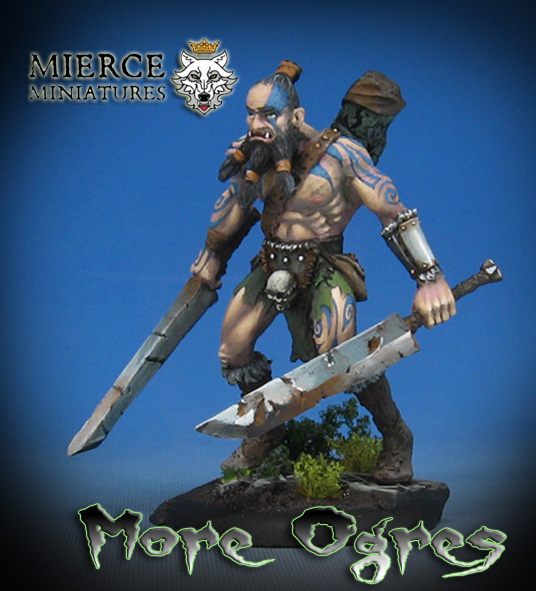 We return to the unit of Mierce ogres once again. This was a group of 8 large figures that was painted with oils for the most part, with a few details mopped up using regular acrylic paints. The advantages of oils really stand out when you paint whole units, even more so when they are this large! This one is towering over a 40mm base! I have a number of live sessions that I have already done showing how I approach oil painting, but this month I will be recording my first "hard copy" oil painting videos. These will mostly feature the way I tackle units with that material. They will be posted especially for my patrons all throughout this month... where I will be painting some of the new Games Workshop Dark Elves!